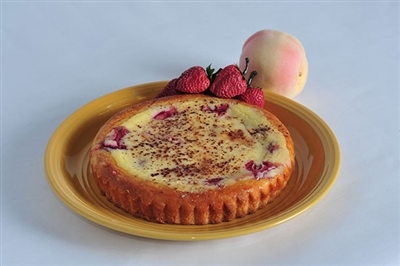 Strawberrys and peaches both fresh frozen used in this kuchen. A jam by this name inspired Karen to try this combination. Sprinkled with cinnamon and sugar.